Moving Service has long held a reputation for being the best around in terms of service, staff and price. Therefore, we have no doubt that you will be more than satisfied with our services. We offer a full range of removal services in Kentish Town, NW5 for you to pick from and we promise you that you will be happy with all of them, for they are all are very good indeed. 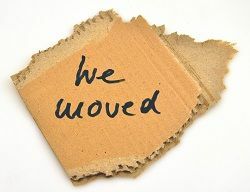 Why would you choose to deal with the stress and chaos of moving when you have us to rely on for excellent services? We can provide you with domestic removals Kentish town, commercial removals, packing and unpacking, man and van services, storage, and clean up services too! What more could you possibly ask for? What really makes us special is our superb team of movers. Every member of the moving team is dedicated, motivated and very much efficient. You are bound to be impressed with them for sure. So make the most of what they can offer you and don’t hesitate to book now. When you hire us for removals in Kentish Town, you will experiece a complete and utter pleasure working with us. We are all competent individuals here and won’t cause you any inconvenienced along the way. So if you need our expert help and experience, please feel free to contact us now on 020 8746 4402 and we will gladly assist you with anything you need. Don’t Worry, be Happy in Kentish Town! The area is situated in North London and lies within the London Borough of Camden. What makes it so fascinating is that many of its old, historical buildings remain in the town which gives it so much character. It is known mainly for its amazing bars and pubs and general nightlife. You will find some amazing pubs and bars in the area offering great music in the evenings. The area has also been a filming location. 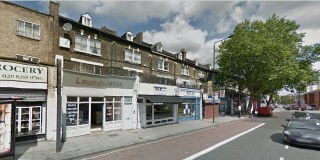 About a Boy was filmed here, in Lady Margaret Road. Notable residents include George Orwell, Simon Day, Neil Fielding, Lucy Porter, Tom Conti, Giles Coren, Eddy Grant, Hunter Davies, and many other interesting people. There are great transport connections here, too so you can get easy access to places nearby easily enough. Are you feeling down because you have a limited budget but need help with your move in Kentish Town, NW5? We have the best solution for you: hire Moving Service. You will love working with us for we provide the best services ever and at the most cost effective prices! If you want a lot for your money, you will find that here with us. Don’t let anything stand in the way between you and a smooth move. If you check out our website you will everything you need and more! You will be able to read our tips and advice and much more! There is lots of useful information on there for you to check out if you need to. Whether you are about to start with your man with a van removals or whether you are in the middle of it, we are sure we can help you. If you simply can’t bear dealing with it all much longer, please contact us now and we will help you in whatever way we can. We are sure we can make your life so much easier. So call now for a free quote and lots of help on 020 8746 4402. Let’s make your move in Kentish Town super easy and super fun!